Over the years we tend to forget what the greatest human wonders have occurred in our lifetime. I am talking of the way man has progressed in science. Not all is good, I admit that, but most is inspiring and literally gigantic in the way it has shaped our understanding of the universe. I have quite a few IMAX films that are based on space and, like one of the titles, keeps the dream alive. They are all truly great but one stands out from the rest as being one of the absolute tests of man and machine. 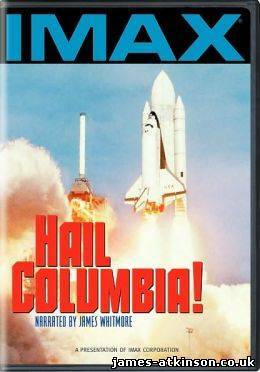 That film is Hail Columbia!